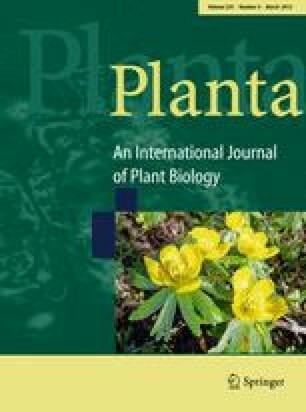 To investigate the role of plant mitochondria in drought tolerance, the response to water deprivation was compared between Nicotiana sylvestris wild type (WT) plants and the CMSII respiratory complex I mutant, which has low-efficient respiration and photosynthesis, high levels of amino acids and pyridine nucleotides, and increased antioxidant capacity. We show that the delayed decrease in relative water content after water withholding in CMSII, as compared to WT leaves, is due to a lower stomatal conductance. The stomatal index and the abscisic acid (ABA) content were unaffected in well-watered mutant leaves, but the ABA/stomatal conductance relation was altered during drought, indicating that specific factors interact with ABA signalling. Leaf hydraulic conductance was lower in mutant leaves when compared to WT leaves and the role of oxidative aquaporin gating in attaining a maximum stomatal conductance is discussed. In addition, differences in leaf metabolic status between the mutant and the WT might contribute to the low stomatal conductance, as reported for TCA cycle-deficient plants. After withholding watering, TCA cycle derived organic acids declined more in CMSII leaves than in the WT, and ATP content decreased only in the CMSII. Moreover, in contrast to the WT, total free amino acid levels declined whilst soluble protein content increased in CMSII leaves, suggesting an accelerated amino acid remobilisation. We propose that oxidative and metabolic disturbances resulting from remodelled respiration in the absence of Complex I activity could be involved in bringing about the lower stomatal and hydraulic conductances. R. Djebbar and T. Rzigui participated equally to this work. This work was supported by the University Paris-Sud 11, the Centre National de la Recherche Scientifique, the French Ministry of Research, and the Algerian and Tunisian Ministries of Research. IF-S was funded by the Spanish Ministry of Science and Innovation (Grant BFU2008-01072/BFI). We wish to thank Drs. Michael Hodges and Guillaume Tcherkez (Institut de Biologie des Plantes, UMR CNRS 8618, Université Paris-Sud 11, Orsay, France) for carefully reading the manuscript and Roland Boyer (University Paris-Sud 11) for the photographic artwork. The constructive comments of two anonymous referees are gratefully acknowledged.